General Admission includes entry into Sinister Pointe’s Scary Place. Giving you entire access to the event which includes all attractions, shows, vendors and more. VIP Admission includes the same as General Admission except this ticket gives you faster access to the Attractions as well as a VIP UP CLOSE AND PERSONAL position for any stage performances. Tickets are available at the on-site box office but we do not guarantee availability. This event does and will sell out. So we strongly suggest you purchase your tickets in advance. Yes, We offer group discounts for parties of 13 or more. 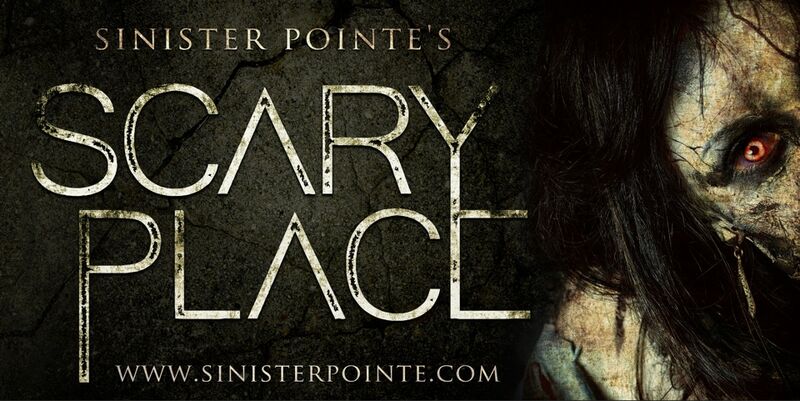 Please contact us at Info@SinisterPointe.com for more info and bookings. Yes ATMs are available on both the first and second floor of the venue. Yes, we do except credit cards for tickets and Sinister Pointe merchandise. But please keep in mind that many of our third party vendors as well as the midway games may be cash only. CAN I HOST A PRIVATE EVENT? I AM UNABLE TO MAKE IT ON THE DATE AND TIME I PURCHASED. WHAT DO I DO? If you are unable to attend on the date of your purchased ticket, please contact our 3rd party ticket provider and request an exchange for a later date. WHAT IF I WANT TO PURCHASE A TICKET FOR MY CHILD/CHILDREN? Anyone under the age of 13 must be accompanied by an adult that is at least 18 or older. DOES MY TICKET INCLUDE ACCESS TO THE ATTRACTIONS MORE THAN ONCE? YES! Your ticket includes entry into the entire event giving you unlimited access to the attractions, stage shows, scream zones and more. YES, There is plenty of free parking available. We do not recommend flip flops or loose/dangling articles of clothing. Sinister Pointe has the right to refuse entry to anyone if we feel their attire is offensive, racist or is gang related in any way. Apparel with a staff or security logo on it is also prohibited. We do not recommend this event for anyone under the age of 13. Ultimately it is the discretion of the parent in which parental supervision is required. Unfortunately not. Costumes, wigs, masks and weapons are prohibited. There are certain instances where the actor may lightly touch you based on their specific character in the attractions. But, you will not be forcefully handled in any way. Yes, Various hot foods, delectable treats and non-alcoholic beverages are available. No, Alcohol on the premises is strictly prohibited. Smoking is strictly prohibited within the events walls! But, designated smoking areas are available. CAN I LEAVE THE EVENT AND COME BACK IN? There are NO ins & outs. Once you leave the event, you can not re-enter.